Know someone looking for a pet? www.Petfinder.com has every breed, color, size pet imaginable. I was helping someone search for a new kitty over the weekend and was so disheartened to see how many 7+ year old cats were up for adoption. They were beautiful, housetrained, healthy and just a victim of unfortunate circumstances. 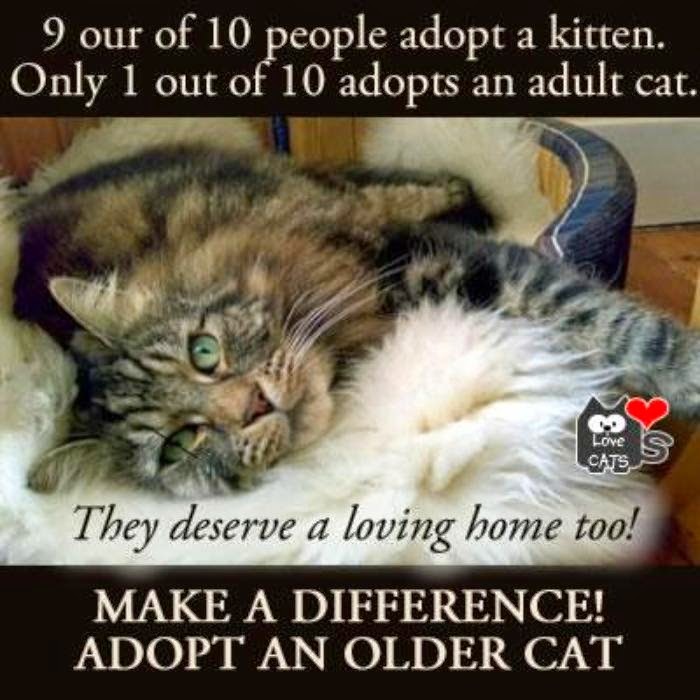 Cats, especially can live very long lives so please consider adopting an older cat! The place for pet adoption. Petfinder is the number one website for adoptable pets. Search over 350,000 adoptable pets.